Drop me a line, I would love to hear from you! 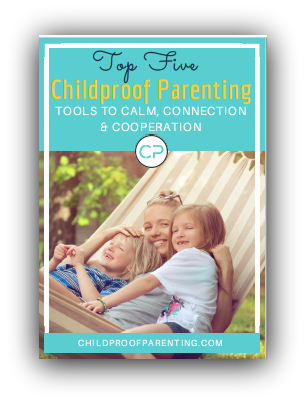 Why Melissa & the Childproof Parent Approach? Quite Simple: She has been teaching it for years, and parents like you are seeing results! I'm contacting you because... * I'm a student and I have a question I'm thinking about buying your course, but I have a question I'd like to collaborate I'd like to submit a guest post I want to give you a testimonial! Are you feeling exasperated, exhausted, or even hopeless? I've been working with children and families for almost 20 years, and have helped over 1,000 parents feel more confident, in control and connected to their children. I specialize in working with parents of 1-6 year olds because these are foundational years in both a child's and parent's development! Most parents are just winging it as they go along. I help parents become more intentional about their parenting and make the process simple and easy, so that families can focus on having fun together while fostering relationships built on mutual trust and respect. I've experienced first hand how frustrating it is to raise young children. I know how confusing it can be with so many different philosophies and approaches. Even though I am a licensed therapist, Certified Gottman Educator and Positive Discipline Facilitator I take a very eclectic and blended approach to parenting young children. I have done all of the reading and training so I can make it easy and simple for you to create the family you want. I help make family life easier and happier. My programs provide new perspectives and strategies for contemporary parents that inspire independence and foster ease in modern day life with children. It doesn't require months of classes or years of therapy for you or your child. I'm on a mission to prove that you can have the confidence and skills needed to stop the yelling, conflict and nagging, and instead have peace, calm and cooperation without spending tens of hours or thousands of dollars!